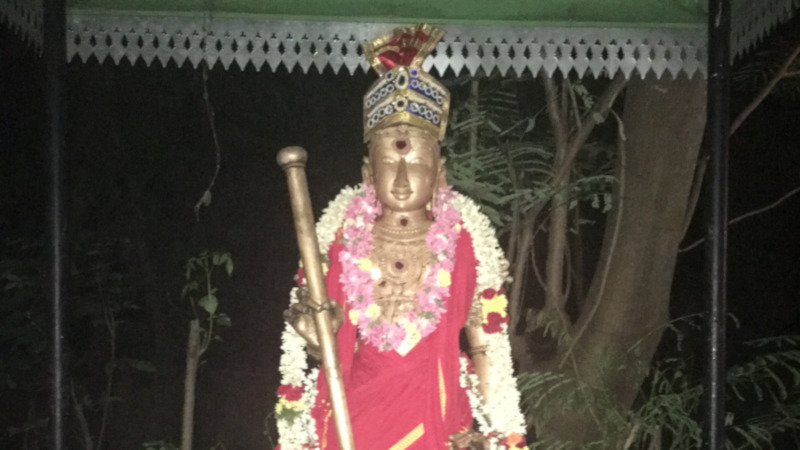 The 6th Waxing Moon is a powertime for Spiritual Warrior Archetype Muruga. Muruga conquers internal enemies with his Vel (lance) and represents the evolution of the brain and third eye. 6th Moons in the Vedic calendar are Muruga’s regular powertimes. This particular 6th Moon will be in Revati, a star of enlightenment and relationships. Muruga can help open your third eye and brain and teach you that life is enlightenment, which is also pure love. It is pronounced ohm sah-rah-vah-nah bah-vah, with equal accent on each syllable. The mantra can dissolve karmic thought patterns and help bring good health and prosperity. Pillai Center teacher Mohini has shared a powerful meditation that uses Muruga’s Vel and mantra to remove internal enemies and bad karma, and to awaken the third eye, your Spiritual Eye. Try this meditation, and you can see just how powerful it is. Imagine Muruga holding a Vel in his hand. The Vel is as bright as thousands of suns, and just as powerful. Visualize it as a bright flame. Do this for a few moments. Imagine the Vel in your entire spinal column, with its head in your 3rd Eye, which is between the eyebrows and a little bit inward. The Vel is now burning your 3rd Eye, purifying it of negative karma, and making room for Divine Intelligence and intuition. Say a prayer: I will never forget the Vel, burning in my 3rd Eye, as a bright flame, removing my karma. Command the Vel, in prayer, to remove all disease karma. Remember to keep the visualization of the Vel in the spinal column going. It’s very bright. Repeat Muruga’s seed syllable mantra: Om Saravana Bhava. It’s pronounced Ohm Sah Rah Vah Nah Bah Vah. This is the sound equivalent of the Vel that slices up your inner demons. Command the Vel to remove poverty consciousness, and repeat the mantra while the Vel burns in your 3rd Eye. Repeat the previous step with a command to remove your ignorance and replace it with Divine Intelligence. Join the Awaken Brain to Fuller Functioning Interactive Fire Lab on February 10 PST. The priests will invoke Muruga, on your behalf, for blessings related to enlightenment, love, and awakening the brain and third eye. Enjoy the benefits of ancient Vedic proxy (distance) technology, and use modern technology to tune in to the live webcast from home.